“Two years ago today, Carlos Moncayo was killed when an unsecured trench collapsed on top of him at a construction site in the Meatpacking District. This tragic event could have been prevented by the individuals and companies responsible for managing the site, who for months ignored persistent warnings about the unlawful and unsafe work conditions they created. Instead, a young man lost his life. “Despite the landmark criminal convictions of the people and corporations responsible for Mr. Moncayo’s death, New York State law still does not meaningfully deter companies from putting profits and deadlines ahead of their workers’ safety. 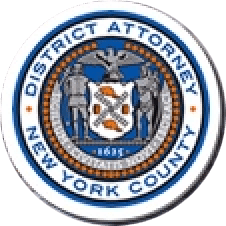 For their role in causing Mr. Moncayo’s death, contractor Harco Construction and subcontractor Sky Materials were each sentenced to pay a $10,000 fine—the maximum penalty for any company convicted of a felony in New York State.